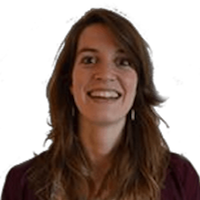 Janske is an energetic, loyal and dedicated Senior Behaviour Therapist & Early Intervention Consultant who has gained her education at the Faculty of Social and Behavioural Sciences at the University of Amsterdam. She has a special interest in early intervention therapy for children with developmental and behavioural problems and supporting their families. She is open and enthusiastic to her clients and makes sure that the sessions are full of enjoyable activities to tap into the child’s goals and improve their skills. Janske has gained over 8 years of experience at different (day) clinical settings for both children and youth (4-18 years old) across the Netherlands and within Australia. She has also worked as a School Counsellor, where she conducted both diagnostic assessments and interventions. Her therapeutic Early Intervention approach is based on principles of the evidence-based Early Start Denver Model (ESDM) model, Applied Behaviour Analysis (ABA) and Positive Behaviour Support, in which she received excessive training within a leading practice in Sydney. Janske strongly believes in play-based and family-focused early intervention and aims to collaboratively work towards children’s goals by closely liaising with parents, school and external organisations. She thinks this is critical to optimise the children’s skill acquisition and generalisation. She also advocates at case conferences within the multidisciplinary team to further improve the program goals and therapy interpretation. Janske has a special interest in diagnostic assessments, anxiety management in children (with Autism Spectrum Disorders) and parental counselling/training.